Strong winds in Tullamore last Sunday made conditions tough for those competing the the Leinster track & field championships. 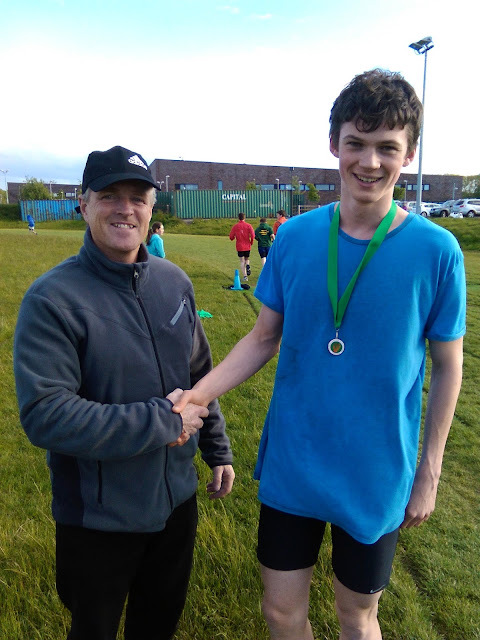 Conor Duncan timed his effort to perfection in the senior 800m and won in 1 min 59.65 sec. This is Conor's first Leinster senior title in what has been a great track season for him so far. Siobheal Murray also won gold in her specialist HJ event with a height of 1 .45m and then went on to take the silver in the long jump (3.67m) . Ciaran Crowther was 7th in the senior mens 1500m.